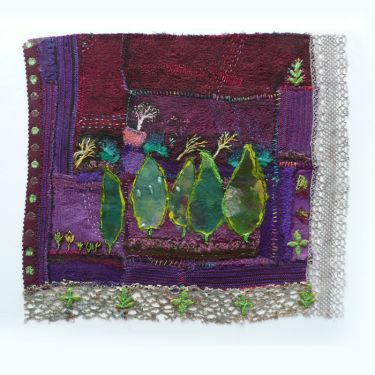 Textile Arts by Midge Gourlay varying from smaller framed multimedia works to free-hanging textiles. 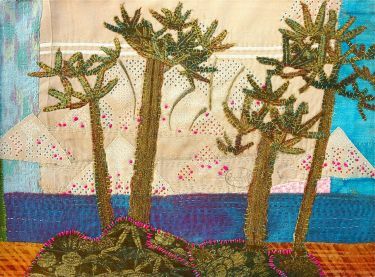 Please note that prices for all textile arts exclude shipping and packaging. As prices vary according to the size of item, destination etc. they will be quoted on an individual basis. Please contact us by phone or e-mail to discuss shipping. Packaging and transportation by carrier can take a little while due to our remote location but every care is taken to ensure a safe delivery. Our recommended carrier is Aardvark, a company experienced in the transportation of artworks. Prices for shipping start at around £60 + VAT. Packaging costs between £15 and £40. 57 x 59 cm. Glazed, framed and mounted work. 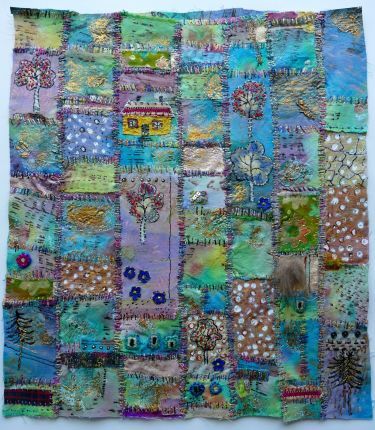 Fabric, stitch, paint and old lace. Image size without frame 57 x 59cm. Please note cost excludes shipping and packaging costs. Please call or email us for further details..
Herradura, Andalucia. Framed embroidery 46x30cms View of the Mediterranean from the beach at Herradura. 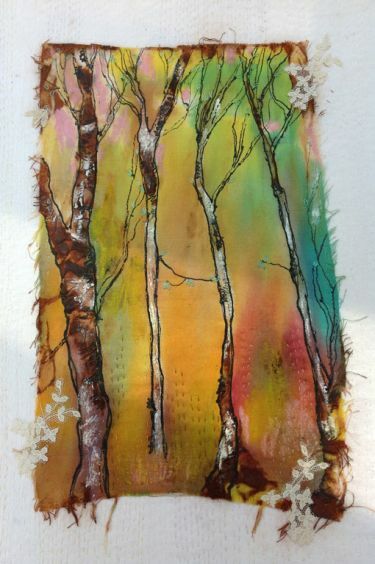 Price of postage on application..
Birch Trees 2. Framed embroidery 52x80cms Dye,fabric paints, hand stitch and antique lace on linen. Price excludes p&p. 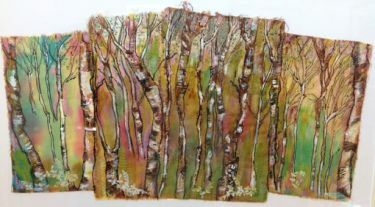 Birch Trees 1. Framed embroidery 34x46cms Dye, fabric paints, hand stitch and antique lace on linen. Price excludes p&p. 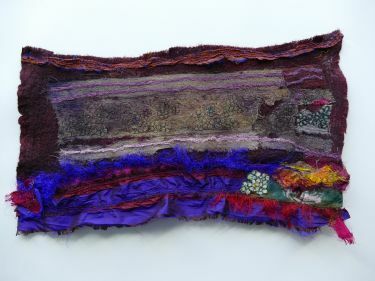 Mixed media textile with hand dyeing , hand & machine embroidery and textile paints. Framed. 60x65cms. 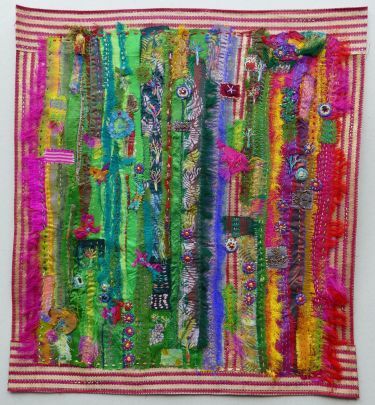 A glorious riot of colour made from silk ribbons, antique fabric, hand & machine embroidery. Framed . 66x75cms. Silk ribbons embellished with antique textiles and lace. Framed. 55x38cms.